Embracing the Christmas llamas of one of the papers, I found photos of me with my Christmas stocking over 5 years. For some reason I cannot find the photo I took of the actual stocking, so all I have is me holding it or it laying on the floor with the contents everywhere. 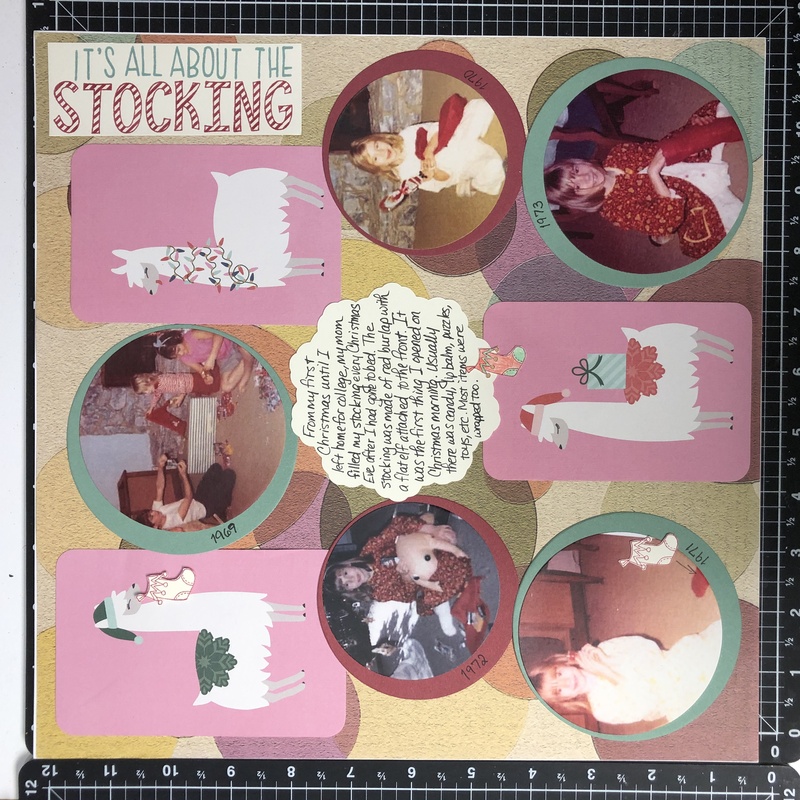 I stamped the title and the little stockings. 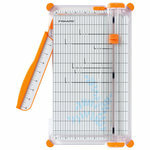 The journal snow-flake shape was in my scraps so I thought it was perfect size for journaling. Also since the background was circles, I embraced the theme by cutting the photos and matts all in circles. I offset the photo in each circle matt so I could write the year of each. Thanks for stopping by - have a blessed day. This turned out so well. Love the timeline of the stocking and the story with it. The Christimas stocking was a big thing in out house growing up, sweets, fruits, nuts and a silver coin were all inside. It's a big tradition in our house now too!! 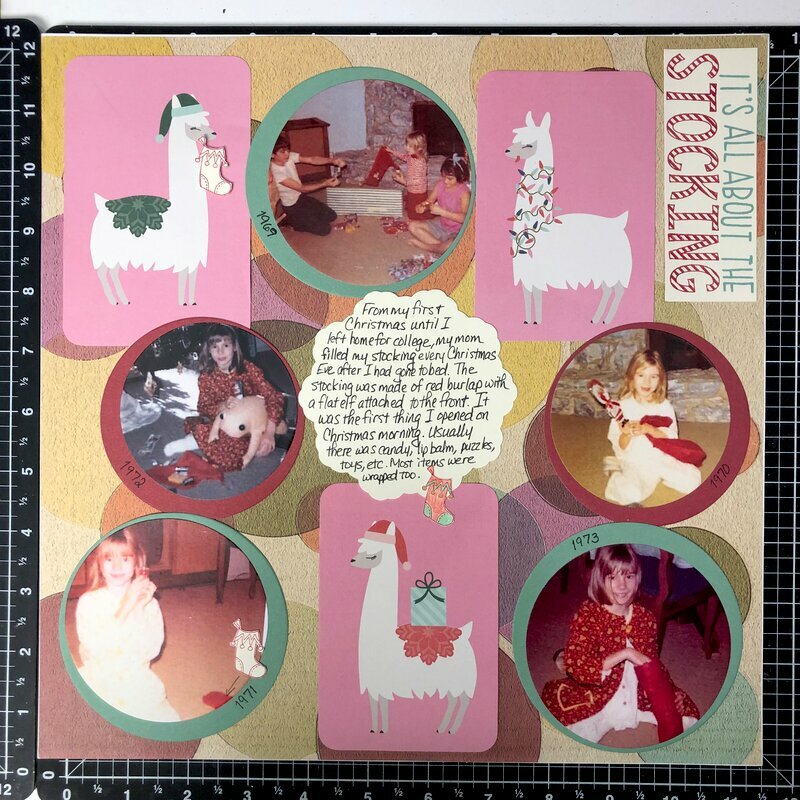 I love how you did this with photos through the years...love the stocking story-do you still have it??? Love all of the photos throughout the years you've added. The stocking is always a highlight to our Christmas morning, too. My mom always made us wait until after tree resents were opened before we were allowed to even touch the stockings, LOL This tradition continues to this day. so creative and fun. I would never have guessed this was for "the uglies" challenge. Wait what?! Llamas aren't ugly! I love them! I think this is such a cute page! I love that you left room on the circles to put the year!